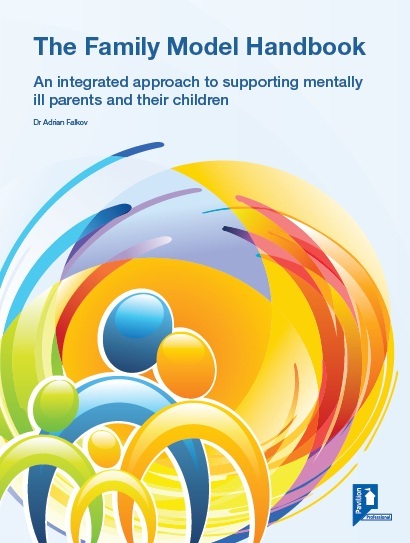 Supporting adults while ensuring the wellbeing of children should be the goal for all health professionals working with families where a parent has mental health issues according to child & adolescent psychiatrist Dr Adrian Falkov. Speaking at a symposium to mark the launch of his new book 'The Family Model: Managing the impact of parental mental health on children', Dr Falkov highlighted the complex interplay between mental health in parents and the development of related issues in their children. "There are numerous influences on development of child mental health & psychopathology, not least the mental health of the parent," Dr Falkov said. "Half of all lifetimes cases of diagnosable mental illness begin by age fourteen, and many of these are due to children being forced into a situation of additional stress early in life." Having conducted research into cases of children who care for parents who have serious mental health problems, fellow speaker Professor Jo Alridge highlighted the importance of finding different ways to engage with children. "We find many families with parental mental health issues that are disorganised, suspicious and fluctuating within the interpersonal matrix," she said. "It can often be difficult to find out the true situation with these types of families especially as many children who've been young carers don't want to talk to researchers. "As a result the research base is only just being established but it is clear that if health professionals can experience and respect issues of parenting with mental health then their support will be more effective in developing strength for the whole family." Dr Falkov added that there remains a continuum of need but even though having a mental health issue doesn't automatically mean you can't raise children, a large proportion will struggle so there remains a great need for early intervention. Finally, Heide Lloyd, who herself experienced clinical depression while raising her own children, spoke of the need to create a climate where both parents and children are able to speak about mental health without fear as they would physical issues. Professor of Social Policy & Criminology, Alridge, added to these the need for children of parent's with mental health issues to have another 'champion' supporting them and urged schools to look to pick up this role more often.